Hello World,I hope you all are fine. Well, Have you ever thought that you can make a fake call???? 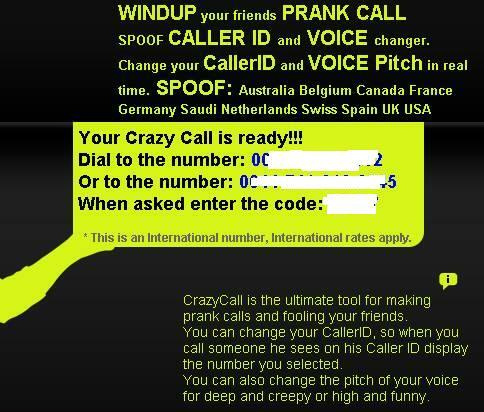 Well, there is an online tool to do so known as Crazy Call to perform Caller ID Spoofing. Well, this online tool can Help you to call from any number to any number at affordable prices. Many websites may offer to do so but most of them are non-working and rest of them charges very high. 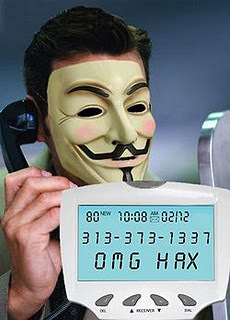 This is 100% working and will help you to Spoof Caller ID. 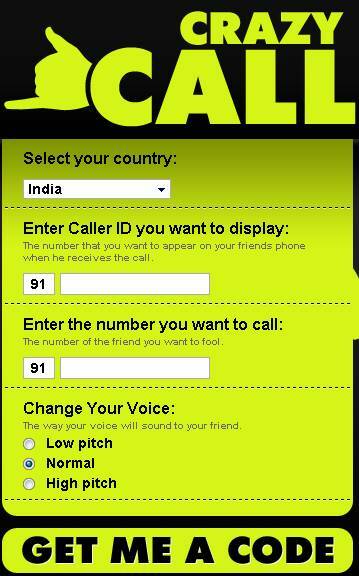 Well, In this trick, you can easily hide your number and call from any number of your choice without getting caught. So, Prank with your friends and amaze them or take revenge from your enemies. Caller ID Spoofing is a way to call to a recipient's number while displaying a number which is not of its actual destination without showing your identity. So, Make a fake call easily without getting caught. Note: Well,this service charges a bit high as It will be applying International Call rates. Make sure that you maintain High Balance before using this service. In the first field, Enter the number that you want to display.In the second field, Enter the number of the recipient.In the third column, you can even change the quality of your voice. After filling all the columns, Click on Get me a Code. After you click on Get me a Code, A new box will appear at the right side of your window saying the number you have to dial and it will show a code. So call on the given number and enter the code when asked. That's all!! Now your call will be connected to the recipient with a Fake Caller ID. So, It is a working method. It will cost high,,, So use it only when you really need it. Do not forget to maintain a good balance as it costs high. Is this cost money even the person will not lift the call!!!!! Pain involves four types of medications is that every woman has to do. I really reaped the benefits of GABA and Taurine. lot of therapists they recommend for consultation about surgery?